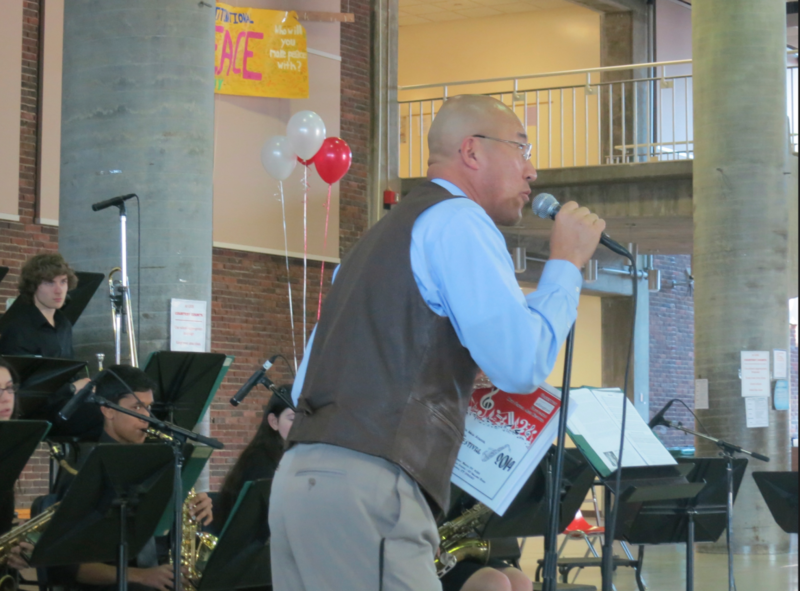 GHS band teacher John Yoon has been placed on paid administrative leave, according to the Greenwich Board of Education in response to a query on Wednesday. Kim Eves, Director of Communication for the Board of Ed said Mr. Yoon’s return date is unknown at this point. “As this a personnel matter, we respect Mr. Yoon’s right to privacy and are not permitted to discuss the matter publicly,” Eves said. In an email to Mr. Yoon, he replied that he was not permitted to comment. A closed Facebook group, created on Tuesday, called “Bring Back Mr. Yoon 2015,” has already grown to 165 members. The group is serving as a forum for discussion among students, though there are some parents in the group, and there is some speculation about why Mr. Yoon is on leave. The organizers have also created a shared Google doc where it is possible to post comments.